From toddlers to teenagers, kindergarten to college, students of all ages need to have a reliable backpack that boasts a sturdy construction, room for all the essentials, and a stylish appearance. 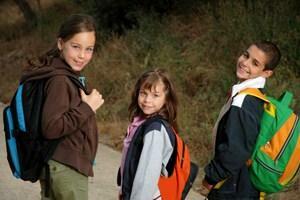 Functional and fashionable, the best backpacks for school tick all the boxes without having to bust the budget. Sporting a classic look that will match any wardrobe any day of the school year, the Everest Vintage Backpack comes in six different colors, including Rustic Orange, Eggplant Purple, and a more understated Beige. The two-pocket design is simple and versatile. With over 100 customer reviews on Amazon, this bag has an overall rating of 4.5 stars. Featured on the popular television sitcom The Big Bang Theory, the Alienware Vindicator boasts plenty of gamer credibility while still offering a very functional design for everything a student needs. 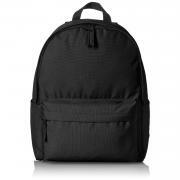 With high-density nylon and a reinforced, non-slip base, this backpack offers solid protection for all its contents. The best-selling Alienware backpack from Mobile Edge comes in sizes to accommodate 13/14-inch, 17-inch and 18-inch laptops. One of the best-selling backpacks in the JanSport lineup, the Digital Student Backpack comes in over a dozen different designs to match the personality of any student. 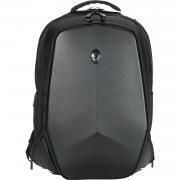 Included with the backpack is a removable 15-inch laptop sleeve that then fits into a dedicated laptop compartment. The ergonomic S-curve shoulder straps offer relief on long days too. It's no wonder customers gave this bag an average rating of 4.5 stars on the JanSport online store. Let it go! Let it go! When it's time to let the littlest one go off to school for the first time, you don't need to let go of all the cash in your wallet! The very budget-friendly Disney Frozen Deluxe Heart Shaped Backpack is affordably priced while offering the attractive versatility of two side mesh pockets and colorful graphics. Customer reviews on Walmart are generally positive, citing good quality construction and a cute design that kids love. The Amazon Basics line of products aims to deliver exceptional value by stripping away everything that is unnecessary while retaining the core functionality that customers desire. The Classic Backpack may not look like much, but that is a big part of its overall appeal. 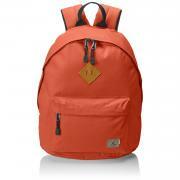 It's cheap and cheerful, lightweight yet durable with velcro side pockets and a roomy interior. With an average rating of 4.5 stars based on over 250 customer reviews, this is a well-made backpack at a terrific price. 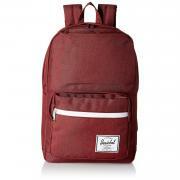 Want to head off to school with a slightly different backpack that isn't way out there? The decidedly boxy Refractor Duffel Pack from The North Face offers handles on both the top and the side, plus the usual shoulder straps, for multiple ways to carry. The clamshell design also includes a quick-access pocket on the front and an included tablet sleeve. 100% of reviewers on The North Face online store recommend this product, making it the best-selling unisex backpack on the site. Carrying heavy textbooks and other supplies around all day can get awfully taxing on the shoulders, back and hips. 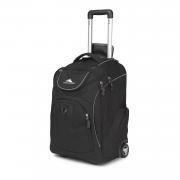 An easier way to get between classes is with a rolling backpack like the High Sierra Powerglide. The multi-compartment design includes a cushioned sleeve for laptops with screens up to 17-inches in size, plus zippered accessory compartments for quick access. The durable and spacious bag is recommended by over 90% of the over 900 customers who reviewed it on eBags. With a perfect five star rating on Zappos, the Pop Quiz backpack from Herschel offers a clean and classic design that's suitable for a wide range of age groups. A fleece-lined sleeve accommodates up to a 15-inch laptop, plus the fleece-lined accessory pocket is perfect for sunglasses. It comes in a wide variety of color combinations to suit any taste too, including captain's blue, dark shadow, windsor wine, and even jungle floral green.